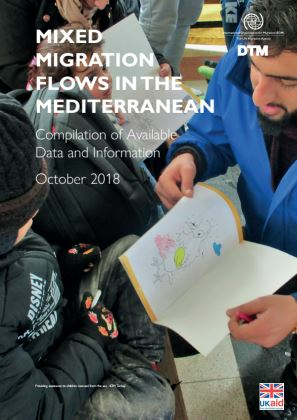 According to the available data from national authorities and IOM offices, a total of 122,947 migrants and refugees arrived in Europe betwee January and October 2018. Estimated 81 per cent of migrants and refugees arrived by sea (99,174). A total of 27,972 migrants and refugees were registered in Bosnia and Herzegovina, Montenegro and Albania since the beginnig of 2018, thirteen times more than the 2,199 reported in the same period last year and a ten times increase compared to the 2,725 registered in the whole of 2017.